I’ve never been the biggest fan of Halloween. The candy, however, I have a big fan of…but I’m abstaining this year because, y’know, I have to fit in a wedding dress soon. 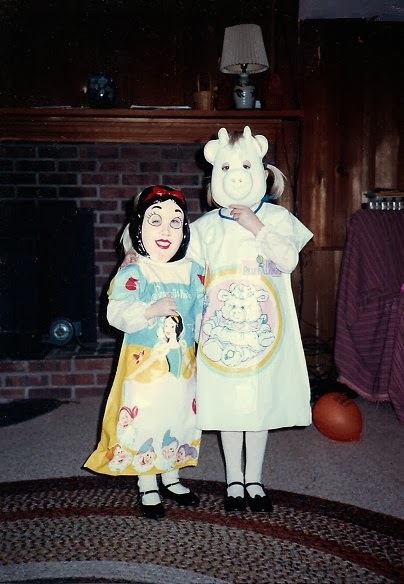 My mother never liked Halloween. It wasn’t celebrated in South Africa, and she’s pretty sure it’s mildly hedonistic. I think she might be kind of right there. Because she’s the best mother ever though, she totally let her kids partake in the festivities (and the sugar). I think I stopped dressing up around age 11, mostly because we always had practice on Halloween. Up until that point though, my mother provided us with some pretty great costumes. One year, I wanted to be Queen Frostine from Candyland. 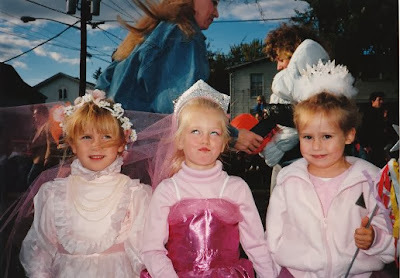 Clearly, I felt pretty great about my costume because I am just hamming it up in that pic. Other times, however, my mother seemed to have a little less time on her hands. It was probably because she was coaching figure skating every night. Or, it might have been because she carted her three girls around to swimming all the time. Whatever the reason might be, sometimes we had some, well, questionable costumes. For some reason, Ham must have been a hit because it was repeated…on the littler sis a year later. 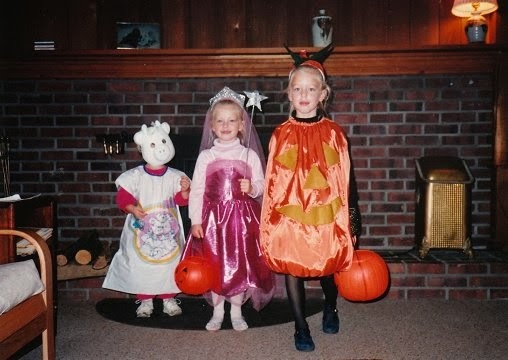 Nikki was a cute little pumpkin, I was Queen Frostine that year…and Kristina was Ham. Part Deux. It’s the stuff of nightmares, guys.